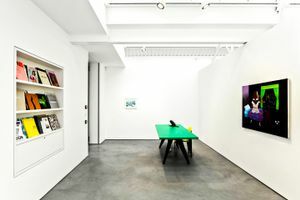 This pristine 2,150 sqft gallery in Old Street is an ideal space for creative brands and artists to curate exhibitions and hold private events and sales. 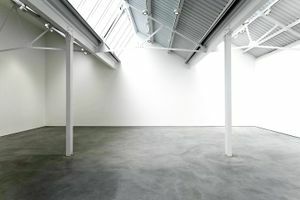 With spotless white walls and a modern grey concrete floor, the gallery is composed of two rooms, one larger and one smaller, and a reception area with some shelving and a welcome desk. 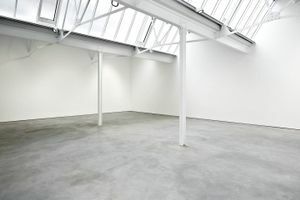 Facilities include a stockroom, wifi and toilets. 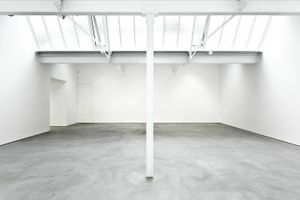 The ceiling is entirely glass, panelled windows allow natural light to flood into the space, creating a fresh and airy atmosphere. 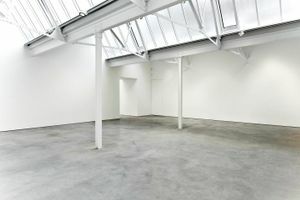 Just steps from Old Street tube station, this gallery is the perfect venue to impress your clients and audience.